free(code) - Maintains the Web's largest index of Linux, Unix and cross-platform software, and mobile applications. Linux - A volunteer supported site created for and by the Linux and Open Source communities whose mission is to educate, inform and entertain. 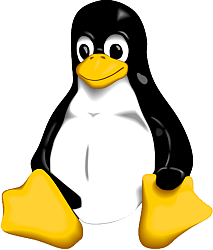 Linux Documentation Project (LDP) - Working towards developing free, high quality documentation for the Linux operating system. The goal of the LDP is to collaborate in all of the issues of Linux documentation. Linux Journal - Latest applications and news from the Linux community. Linux Kernel Archives - Linux kernal source, as well as other related Linux information. Linux Today - Linux news. Red Hat - A leader in development, deployment, and management of Linux and open source solutions for Internet infrastructure, ranging from embedded devices to secure Web servers. Ubuntu - Linux was established as an enterprise server platform in 2004. But free software was still not a part of everyday life for most computer users. That's why Mark Shuttleworth gathered a small team of developers from one of the most established Linux projects - Debian - and set out to create an easy-to-use Linux desktop, Ubuntu. The vision for Ubuntu is part social and part economic: free software, available free of charge to everybody on the same terms, and funded through a portfolio of services provided by Canonical. This webpage last updated on Wednesday, January 6, 2016 3:25 PM.